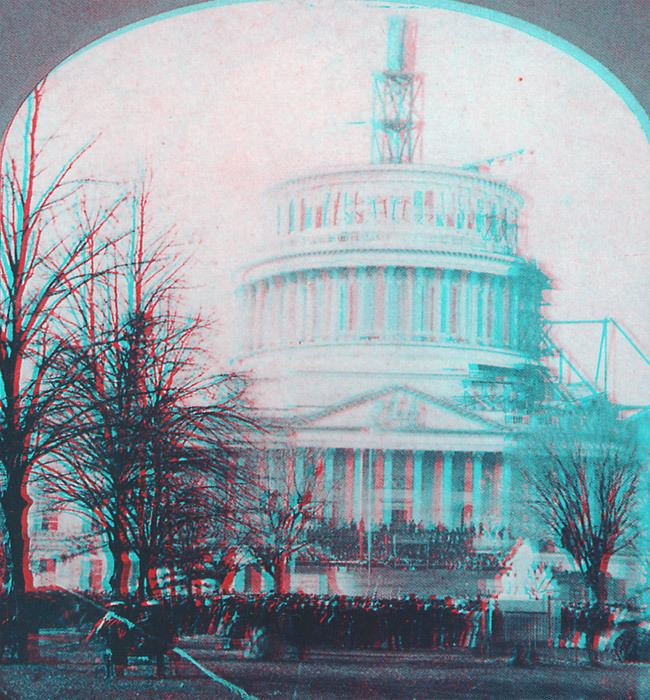 This is a picture of Lincoln's inauguration on March 4, 1861, taken by Brig. Gen. Montgomery C. Meigs. That unfinished Capitol dome in the background reminds me of nothing so much as the unfinished Death Star in Return of the Jedi...I can just picture the rebels being all like, "ha ha, we'll destroy your Capitol building before you have a chance to complete it" and then Lincoln being all, "I assure you, Johnny Reb, this Capitol building is fully operational" and vaporizing them all with a giant steam-powered laser beam...maybe that's just me, though.